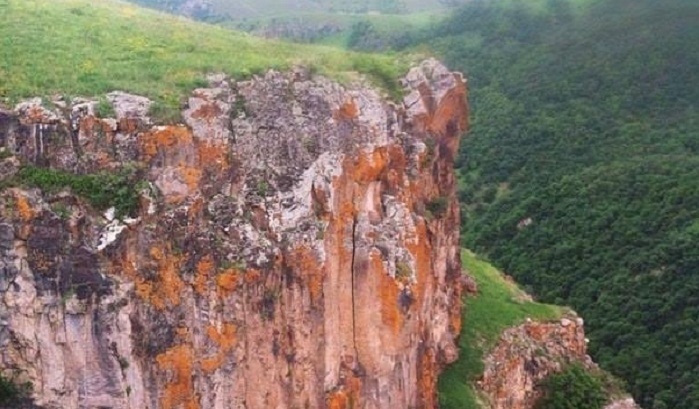 Twenty-six years pass since the occupation of Azerbaijan’s Kalbajar district by Armenia. Kalbajar was among Azerbaijani districts that got occupied by the Armenian Armed Forces during the Karabakh war. The Nagorno-Karabakh conflict between the two South Caucasus countries began in 1988 when Armenia made territorial claims against Azerbaijan. As a result of the ensuing war, in 1992 Armenian armed forces occupied 20 percent of Azerbaijan, including the Nagorno-Karabakh region and seven surrounding districts. Launching a large-scale military operation on March 27 in 1993, the Armenian armed forces occupied Kalbajar on April 2. As a result, 511 people were killed in Kalbajar, which has a territory of 1,936 square meters. As many as 321 people were captured and went missing. Fifty-five soldiers were killed during the fights, while 132 settlements were captured by the Armenian Armed forces. Armenian occupiers destroyed more than 500 industrial, construction, catering and retail facilities, 97 schools and 76 health facilities. Kalbajar district’s 53,340 residents became IDPs. After Kalbajar’s occupation, the UN Security Council adopted the resolution 822 demanding the immediate withdrawal of Armenian forces from the district and other occupied areas of Azerbaijan. Armenia has not fulfilled the resolution. The 1994 ceasefire agreement was followed by peace negotiations. In general, Armenia has not yet implemented four UN Security Council resolutions (822, 853, 874 and 884) on withdrawal of its armed forces from the Nagorno-Karabakh and the surrounding districts.